The thick-sliced, wavy-cut potato chips should hold together very well for dipping and come in three flavors: Sea Salt, Reduced Fat Sea Salt, and White Cheddar & Sour Cream. 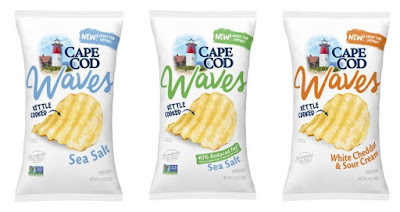 The name is a bit interesting as it plays on the fact that Cape Cod Bay, near where the chips are made, is, as part of the ocean, full of waves. 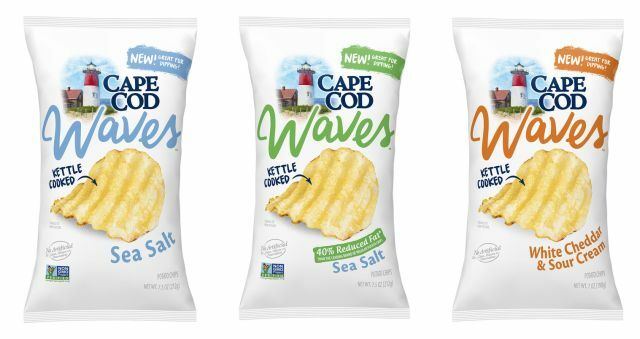 You can find new Cape Cod Waves Potato Chips for a suggested price of $3.79 in grocery stores nationwide as well as online at www.CapeCodChips.com. Photo via Cape Cod Potato Chips.